I’ve needed to put the blog on an extended hiatus due to non-conversion activities taking up way more of my energy than they had right to. I’ll be slowly getting back into the swing of things. Our bathroom is long done, we’re almost done with the office, and we’re gearing up to tackle our main worship hall. 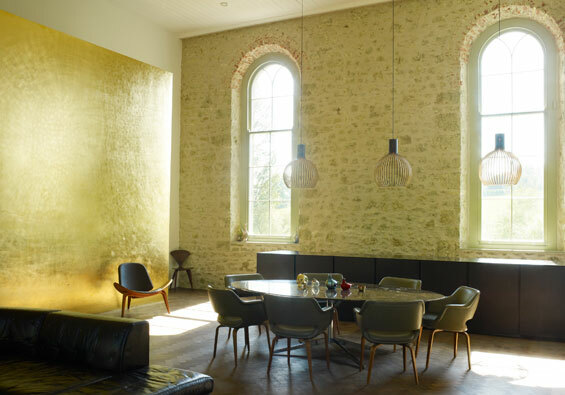 Meanwhile, I spotted this lovely conversion of a former Methodist chapel on the border of Wiltshire and Dorset on another site, and I’m reblogging it here. The design is due to Gary Tam, and the property is for sale (for quite a lot of dough – one can dream, no?). 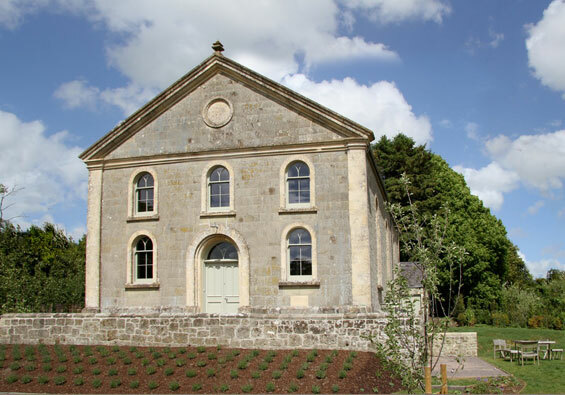 Exterior of former Methodist Chapel on Dorset/Wiltshire border. 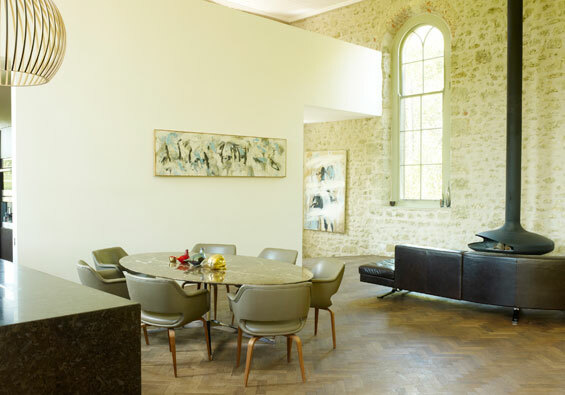 The interior is done in a very organic Danish/Scandinavian mid-century modern style. I’m in love with so many details, and with the feel of the place. Click the links above for more. I love the very organic color scheme. There's the 1960s-era "gyrofocus" fireplace by focus that seems to be popping up everywhere in design blogs lately. 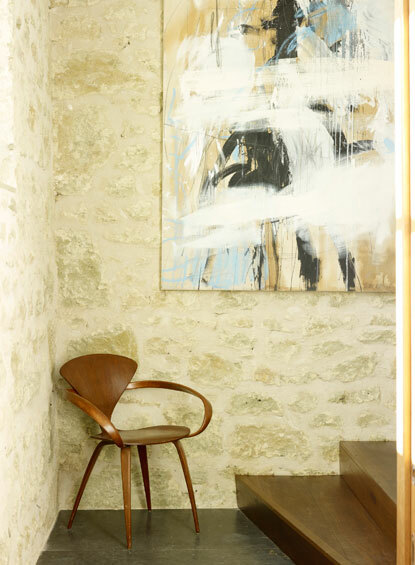 I love the interplay of textures - the stone floor, the (Koziol?) lamps, and that beautiful oak herringbone floor.